NOW&HERE = EVERYWHERE is the shortest international art collaboration in the History of Humanity, lasting just for 30 seconds. Thank you very much to all the participating artists for sharing your art of everyday life. It has been a real pleasure collaborating with you!!! 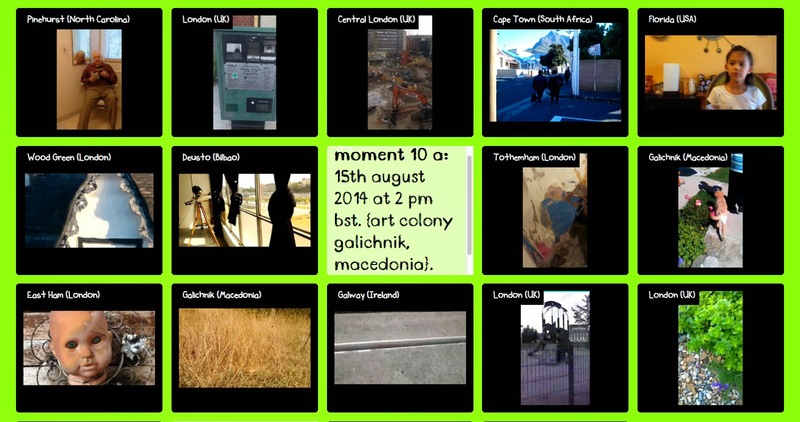 This moment is composed by 35 contributions provided by artists filming simultaneously and choreographically with the camera-phones in different points of the Globe, such as, Japan, N.Y, North Carolina, Italy, South Africa, Ireland, UK and Spain, in collaboration with the artists in residence at the Art Colony Galichnik (Macedonia) 2014. In this piece, we have had the pleasure of collaborating with the young artists Katerina and Natalya Cody-Rapport, who are 4 and 8 years old respectively. Let’s keep fostering creativity in the young generations! 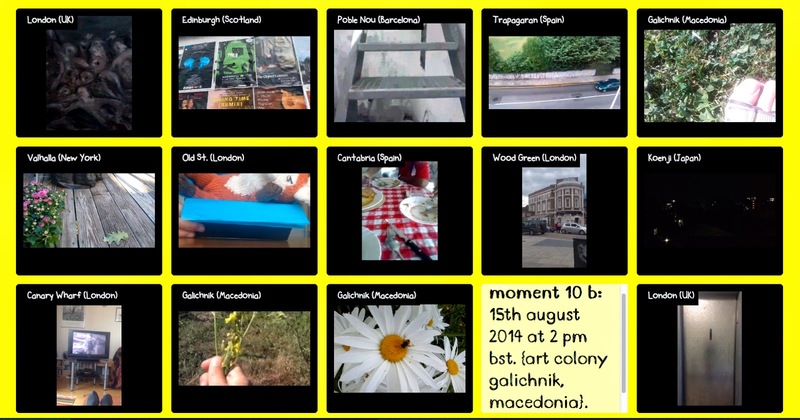 MOMENT 10 is a diptych, structured in 10A and 10B, which can be experienced sequentially, opening them one by one, or simultaneously by opening both windows at the time. 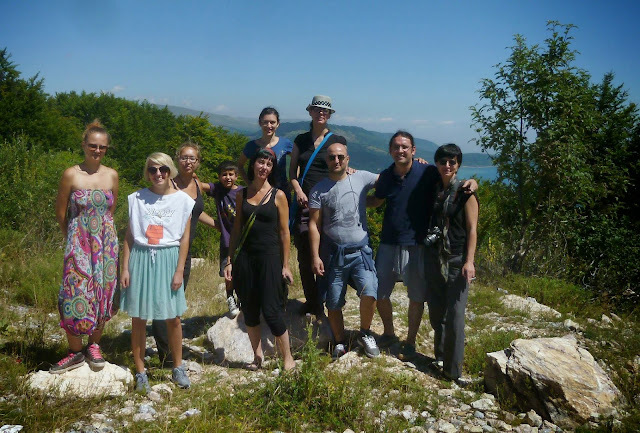 This moment will be shown next year at the Biennale of Skopje (Macedonia), curated by Ana Frangovska (National Gallery of Macedonia) with the collaboration of the independent curator Bojana Janeva. Further news about the exhibition will be posted soon! If you prefer to send your videos via WhatsApp, please text the word 'NOW' with your name to this number +447449494812, and you will be added to the group we have created. Your number will not be shared with third parties or used for commercial purposes. The more we are, the greater the SURPRISE! [Disclaimer: All the participating artists will be acknowledged on the website. Only the video-clips produced at the announced date and time will be considered. By participating in the project you are confirming that you have all the rights to publish the videos and you are allowing us their exhibition. This is a non-profit research art project conducted by iceberg Fernandez, with the collaboration of the web developer Jon Diez, at Central Saint Martins, University of the Arts London (UK)]. Art Colony Galichnik 2014 (Macedonia). Photo by Bojana Janeva. 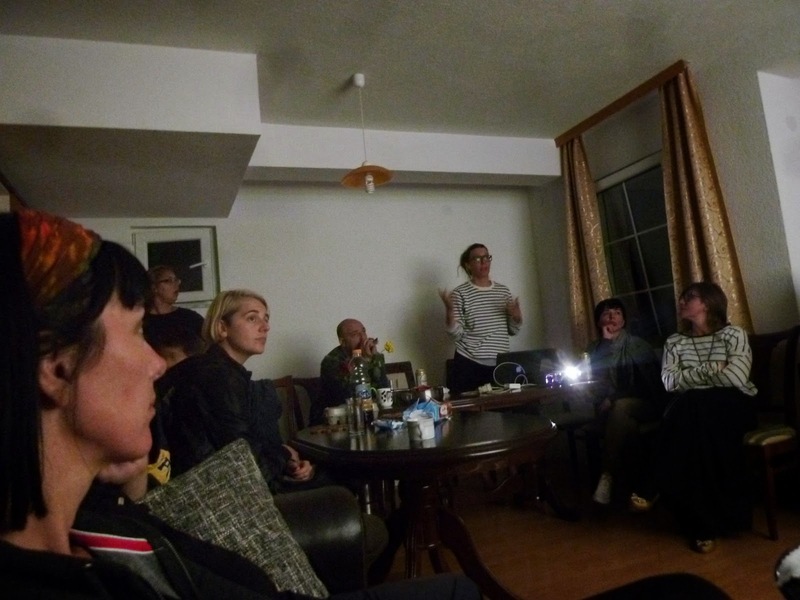 Quantum Filmmaking presentation at Art Colony Galichnik (Macedonia). Photo by Ioana Pioaru.